By chance I came across a thread on xda-developers that explains how to install CyanogenMod 12 (cm12) on an HTC Desire S (codename “Saga”). Being a newbie in “hacking” and rooting Android phones I had to read, investigate, and try a lot. Unlock bootloader: To be able to flash a custom bootloader you first need to unlock the bootloader, which is easy since HTC makes this officially available via their web site. Flash recovery image: I used Team Win Recovery Project 2.8 (or short TWRP 2.8) which I downloaded from a link on this site. Flash cm12 and Google Apps: Download the latest cm12 image (on 2014-12-05 it was cm-12-20141204-UNOFFICIAL-saga.zip) from this page. Download Google Apps from this page. Put both ZIP files on the micro-SD card. Reboot to your recovery image by keeping “volume down” key depressed and then switching on the phone. Keep volume key depressed until TWRP splash screen appears. Perform a factory reset. Flash the two ZIP files, add cm12 first, then add Google Apps. Extract boot.img from cm-12-20141204-UNOFFICIAL-saga.zip and flash that with fastboot. Flash it using these instructions. Reboot your phone. 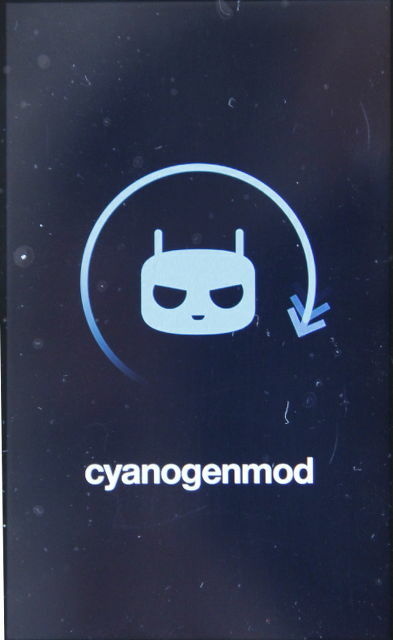 CyanogenMod splash screen should appear after a while. Your first boot will probably take very long (I think for me it was about 15-20 min). Be patient! 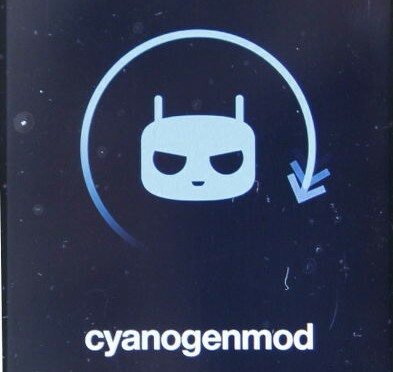 Android 5.0.1 in the CyanogenMod flavor, version 12-20141204-UNOFFICIAL-saga. Kernel version is 3.0.101. Google Apps referred to from this page. Thanks to everyone on xda-developers for their excellent work and support! Touch screen not working properly: You have kind of a “mouse pointer” which you can drag around with your finger on the screen. To “click” something you have to double-tap on the mouse pointer. Fixing this can be accomplished by following this procedure. The home softkey doesn’t work. Fix it by following these steps. Sending audio to my Plantronics Blackwire C720 Bluetooth headset works properly, using Google Play Music. This was obviously using the “Media Audio” Bluetooth profile. Skype via the above headset works perfectly well. Sound quality is crystal-clear. Paired my Samsung Galaxy S4 with the HTC Desire S. Successfully sent a contact as VCF file from the S4 to the Desire S. But then process com.android.media crashed. Connect phone to Windows 7 via USB, using MTP protocol. Write speeds to micro-SD card seemed normal. Phone is somehow regarded as a tablet by the Android OS. Front camera not working. I thought I had seen it working once, but maybe I’m confused. Anyway, as of now the front camera seems not to be detected/functioning. The back camera is working well with the camera app from the minimal Google Apps package as well as from the official Google Camera you can download from Google Play. Skype and Google Hangouts also work well, apart from the front cam. I replaced some of the apps in the apps dock with apps I installed from Google Play. Some of these apps will disappear after a reboot. When I noticed this and wanted to put them back by opening the apps drawer I observed that Android was currently populating/updating the apps drawer with some still missing apps. But even after it had finished showing all installed apps in the app drawer the apps dock was still missing some apps. So I dragged them back from the drawer onto the dock. Again, after a reboot they will be gone again. Speed of cellular data connections seems slow. Unfortunately I couldn’t verify whether the cellular network settings are ok, since every time I tried to enter one of the corresponding Settings menu item the process com.android.phone would crash (with the effect that I had to re-enter my SIM PIN and also the screenlock PIN). 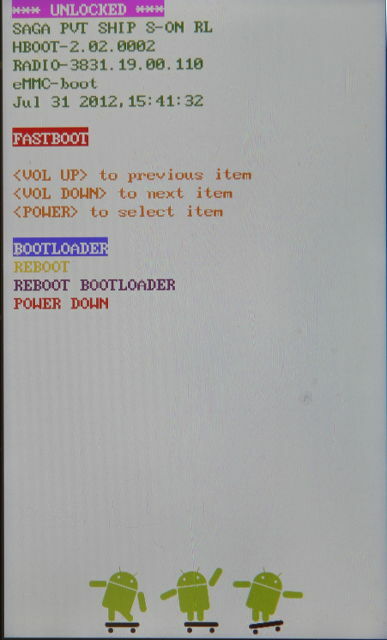 Update 2014-12-11: Connecting the charger when the phone is powered down will cause it to boot into the TWRP recovery system. Trying to open menu item Wireless & Networks > Cellular networks > Carrier Settings might cause process com.android.media to stop. Ringtone will be quiet on incoming calls. Microphone will be muted (or not properly amplified) when the first outbound(!) call takes place (in non-speakerphone mode). After you have gone on speakerphone and back, the microphone will then be working. Moving apps to the external SD card is unreliable. Often it doesn’t work without any indication as to why. If you then repeat it again it may actually work.